Orthodontics: Straighter Teeth. Less Time. Fastbraces® is able to straighten the teeth much faster than traditional orthodontics because it focuses only on those teeth that show when a person smiles. By concentrating on the “smile zone,” Fastbraces® is able to move the teeth more quickly without using any extra force, ensuring a quick and comfortable treatment as well as a fantastic result. 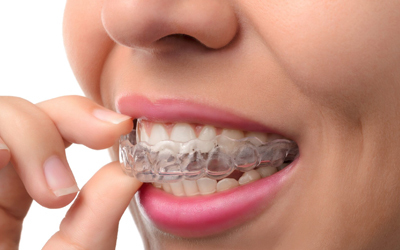 ClearCorrect uses a series of custom-made clear plastic aligner trays to straighten the teeth as opposed to metal brackets and wires. They are practically invisible on the teeth, plus they can be easily taken out whenever a person needs to eat or brush. With this treatment, the only thing people will notice is your beautiful results!